Is “doing-for” a form of social capital after all? With $112 million and counting in contributions to Haiti via the sacred text message number “90999,” it is no wonder thousands are praising cell phone technology, which has now proven itself as a successful tool in mobilization. CNN.com reported that during the “first 48 hours of the campaign, the amount of money raised was greater than the Red Cross brought in during similar periods after Hurricane Katrina and the Asian tsunami disasters.” Red Cross spokeswoman Carrie Housman claimed it was a viral phenomenon that had 10 year olds pledging to help. Even with all of these hard-hitting numbers of good will, nothing is perfect. Scams raged ramped, rumors were “tweeted” and continue to circulate. Phone companies were praised and then quickly bashed when word was received they would not donate their customer’s pledged money for a length of 90 days. Verizon quickly refuted this issue on Friday by immediately sending a check for the $3 million donated. As Americans continue to text donations, it is evident that ease and accessibility are the key components in this campaign. Donations can be made any time and anywhere, and perhaps most importantly, without hassle. These simple components instigated a viral reaction, which accelerated exponentially through support of a number of companies, celebrities, and the White House. Text messaging served as the easiest most accessible outlet for Americans to react as the media continued to shock and awe through photographs, video-clips and news updates. Visit the Red Cross’ twitter page to follow updates on what they need to help! Putnam, R. D. (2000). Altruism, Volunteering, and Philanthropy. In Bowling Alone. What does it mean to brand yourself? More specifically, how does the Internet allow users to create a new brand to the World Wide Web? These questions often arise when affiliating yourself as a user of any online network and ultimately challenge users to maintain a cohesive and congruent image of themselves. Branding is essentially portraying yourself to the public in such a manner that is positive in reflection to you, the brander, and the target audience, the receiver, communicating a direct message of your choice. The Internet is the latest medium to expose yourself to others, where “others” can be categorized as potential employers, customers, friends, or any persons seeking a need to fulfill an unmet desire. With the Internet as a resource conglomerate for nearly any purpose, branding comes in a diverse variety and presentation. It is not illogical to assume that Internet users can ultimately brand themselves in any way, shape or form. It is also not illogical to think that Internet branding will be a necessity, generating much effort on the brander’s behalf to communicate the intended message amidst other marketing clutter. CNN.com recognizes the modern craze of Internet branding. In an article posted a few months ago, Mark Tutton, author of Me 2.0: Branding Yourself Online, elaborates how an Internet user can go about achieving a particular brand in mind. With a condensed yet helpful version of how one can gain personal (hopefully positive) publicity, Tutton gives many steps to newly, unbranded users starting with an internal analysis and ending with helping others in hopes of reciprocity. As our class is initiating into the semester and sifting through the latest challenges our professor bestows, we too are faced with our own brand, mostly in reference to our blog and what we are hoping to portray. As branding is an on-going process especially as trends come and go, we as Internet branders must remain attentive to our target audience and follow the tips provided by CNN’s Mark Tutton. Ready, Set, Run to the Polls! The early bird gets the worm! Or, in this case, the early voter gets to skip out on the long lines at the polls. On October 30 at 5p.m., UNCW’s Election Campaign Communication class is helping citizens take advantage of early voting by hosting the Inaugural Run to the Polls event. During this time, UNCW students and locals who take part in the event will run, walk, or bike from Leutze Hall on campus to the Board of Elections and participate in early voting. The overarching marketing campaign is to increase voter turnout and mobilize young voters while also informing them about the 2014 Transportation Bond; Streets and Sidewalks. According to this article discussing the Engagement Approach to IMC, this type of marketing is on the rise in the ever-changing marketing sphere. This article explains the importance of keeping up with the evolving expectations of the target audience by presenting a product or service to them in a way that will engage them and bring about a desire to take action. By putting on this event, the UNCW Election Campaign Communication class has done just that. The class has also implemented various marketing channels in order to distribute the overall campaign message, such as Facebook, Twitter, and Instagram. By using social media as the channels of choice, the class is able to reach their target demographic: students. According to this article, campaigning should amplify the motivation of your audience, not just their knowledge. The article also states that it is better for the audience to learn by doing rather than having information thrown at them. The Run to the Polls event exemplifies this aspect of campaigning. 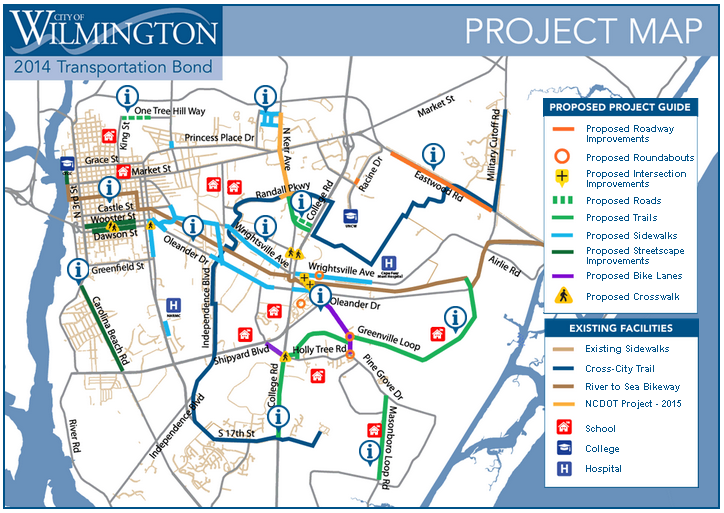 It motivates the community to execute a certain behavior – take part in early voting — while also educating the target demographic about the 2014 Transportation Bond; Streets and Sidewalks. By participating in this event, the community will have the opportunity to learn more about the Transportation Bond from the mayor himself, Bill Saffo. By physically mobilizing voters, this event will affect voter’s behavior in carrying out their civic duty at the polls, which will ultimately impact voter turnout.